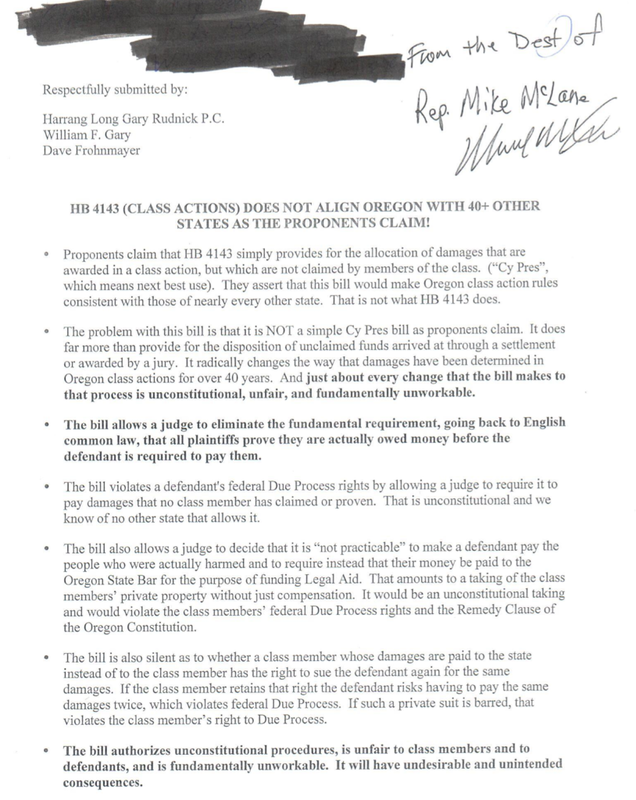 (Salem, OR) — Today, Governor Kate Brown signed House Bill 2700, sending unclaimed damage awards to legal aid, instead of going back to the company that was sued. The concern, expressed openly by several Republican senators, is that they will now be painted as wanting to help Big Oil and Big Tobacco – both targets of class action suits in Oregon — instead of the average or low-income voter. Dave is obviously a talented lobbyist. I wonder why he couldn’t get the legislature to give deals like this to UO, back when he was president? We didn’t properly incentivize him? 2/23/2014 update: RG Editors dismiss Frohnmayer and Gary arguments, note 48 other states now do this, and support HB 4143.
as Huey Long would have put it. Steve Duin has the latest doings of UO’s law firm. No word on what role Frohnmayer and Rudnick might play. Duin’s report on an earlier effort is here. 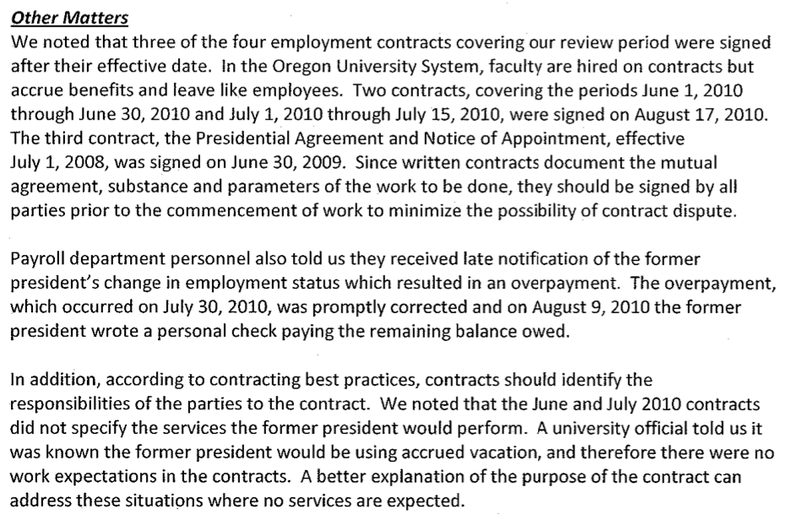 And here’s the twisted story of how HLGR came to get the apparently endless UO legal services contract, just as they were hiring retiring UO President Dave Frohnmayer. 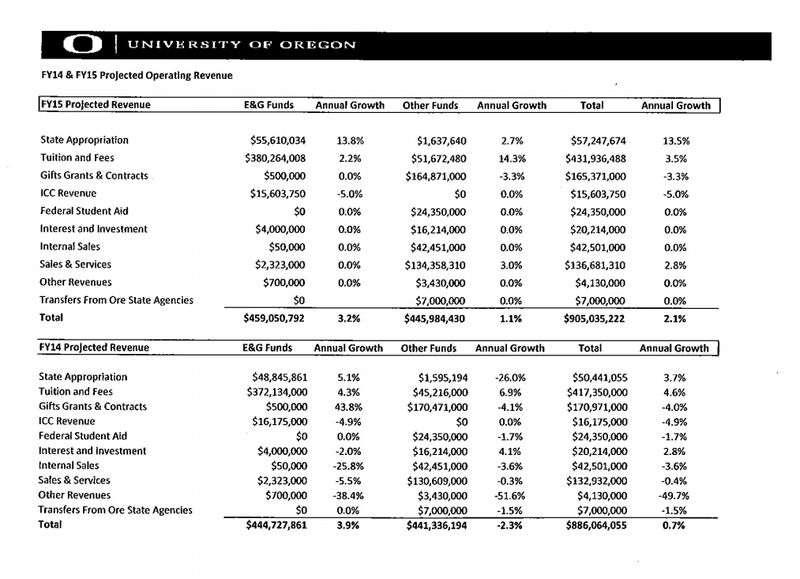 By my math UO and the state have paid Frohnmayer about $1.25M in PERS and about $750,000 in salary since he retired as president in summer 2009. 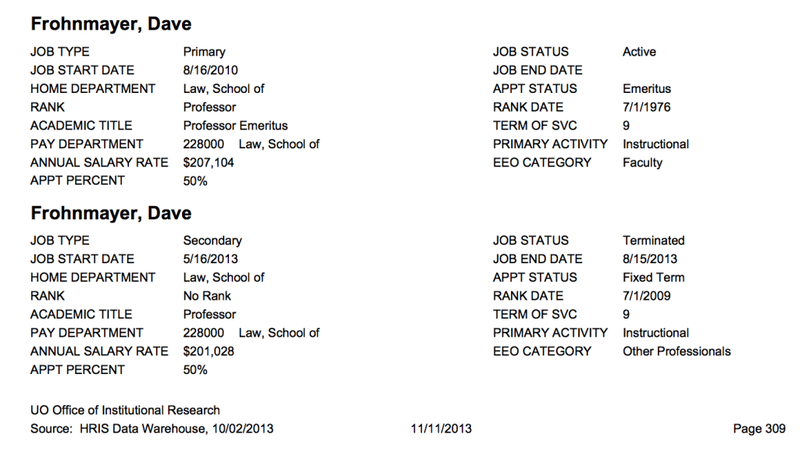 About $250K of that salary was while he was restarting his legal career at HLGR. Add in whatever he got from the Long lawsuit – not to mention his work for big tobacco and for BP, lobbying to kill money for legal services for the poor. 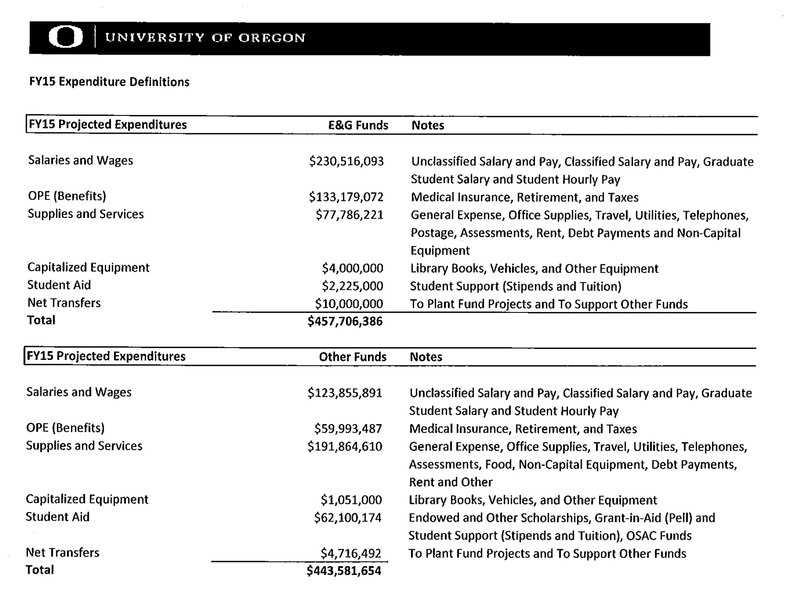 His UO salary won’t end until May 2015, docs here. That $940K our Trustees just paid Gottfredson – also apparently negotiated by HLGR, at ~$300 an hour? It’s beginning to look like we got off cheap. When University of Oregon President Richard Lariviere returns from today’s football game in Texas, he will have to produce a report justifying why the UO gave pay raises worth about $1.9 million a year to about 390 administrators several months ago. George Pernsteiner, chancellor of the Oregon University System, asked for the report Friday, a day after The Register-Guard publicized the raises. Lariviere and Bean do an OK job defending the raises. There is not a word in the story on Pernsteiner or Kenton‘s pay and perks. UO students pay for Pernsteiner’s maid service, mortgage and his morning croissant and the RG is bragging they are making *Lariviere* explain where the tuition money is going? 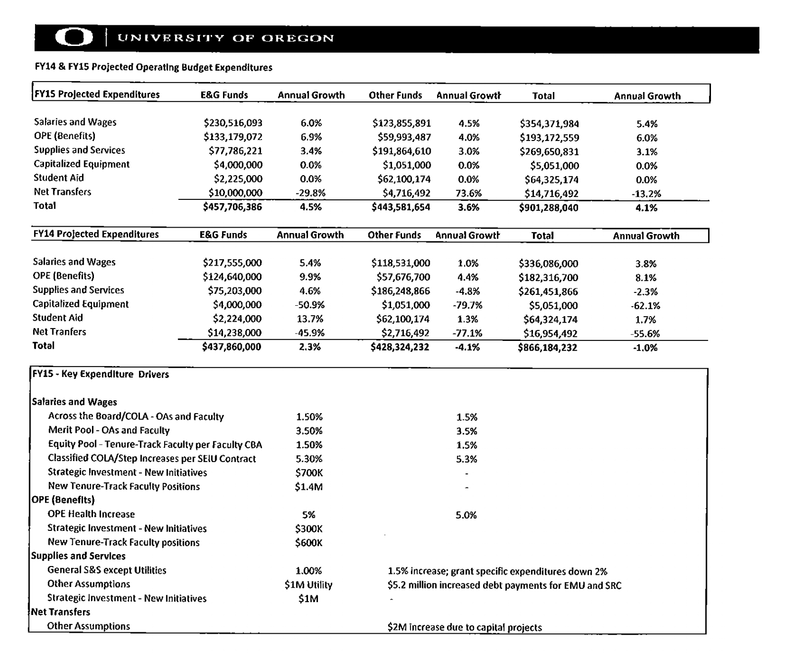 That’s why higher education board member Paul Kelly Jr., a private-sector attorney, said he was very surprised to learn Friday about the UO raises. The education board oversees the state university system, including the UO. It would be nice to give every deserving employee a raise, but it would not be affordable, he said. Yes, it would not be affordable to give the staff raises. There would be no UO tuition money left over to dole out to Paul Kelly’s buddies. Dave’s an awesome texter, for an old guy. I’d have cooled off and thought better of sending this before I’d pecked out half as much spittle. 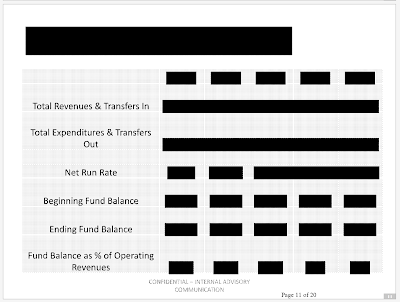 Update: In fairness to Frohnmayer, from what I’ve been able to piece together on this so far it appears the Audit Division had not told him they were looking into his contracts. They also apparently hadn’t told Secretary of State Kate Brown. So, presumably, when Dave called her she said something like “I’ve never heard of this” and he ran with that. An honest mistake, and UO Matters has no plans to seek punitive damages from Professor Frohnmayer, despite his course of conduct in recent years. We just want him to explain his special retirement and sabbatical deals, and repay the retroactive summer salary Russ gave him. Two influential Oregon lawyers have accused the current top criminal lawyer in the state Justice Department of lying to suspects to intimidate them, which they claim violates Oregon State Bar ethical rules. Bill Gary and Dave Frohnmayer filed a complaint Friday with the Oregon State Bar accusing Sean Riddell, the Justice Department’s chief criminal counsel, of violating at least four bar ethics rules during the course of an investigation of an Energy Department contract. Gary and Frohnmayer represent Mark Long, former Energy Department interim director. Lying lawyers. I’m shocked. The full complaint is here. I was so naive before reading this reality check from Dave – a man known across campus for his probity. He must truly be appalled. And this Riddell chap seems to have sold his soul on the cheap too. Very bad precedent. The bar will be all over him for that.